New York, Feb. 14 — Organizers with PIST — Parents to Improve School Transportation — have begun talks with union and local activists about a community response to the non-union student transportation crashes that have occurred in the fourth week of the New York City public school bus strike. This morning, a crash occurred in Park Slope at 5th Avenue and 14th Street in Brooklyn, N.Y., where the victim was reportedly conveyed by ambulance to a hospital for injuries sustained in the incident. Safety Coach is the name of the non-union bus company involved. Earlier this week, 14 people in the Brooklyn neighborhood of Bushwick — 11 of them children — were injured when a car was slammed into by a school bus that union sources say was operated by the non-union Fortuna Bus Company. 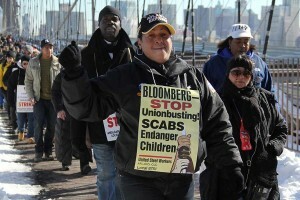 That crash took place at 8:00 a.m. on Tuesday, Feb. 12 — the very same day that Mayor Michael Bloomberg opened up bids to companies that are no longer required to hire school bus drivers and matrons of Amalgamated Transportation Union Local 1181, the striking union. widespread support in the city, including from parents and families whose lives have been upended by the strike. 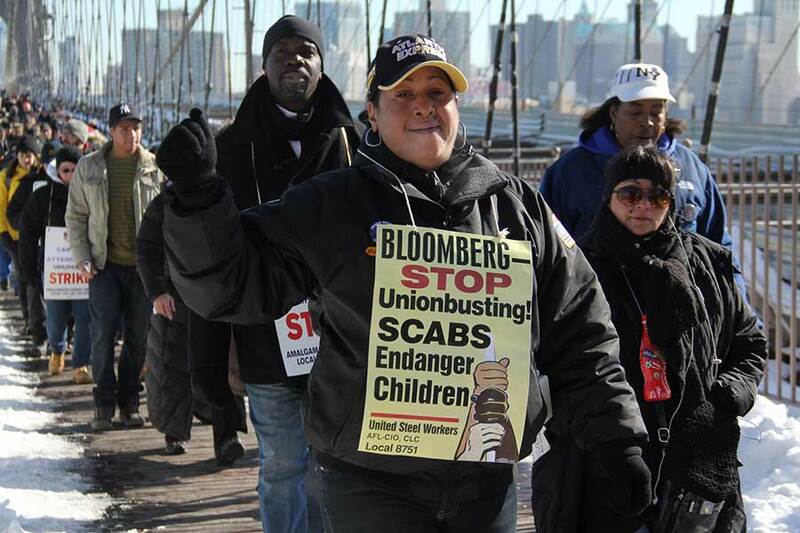 They say Bloomberg’s attack on the drivers’ job security is creating a climate of tension and fear — and blame the disruption in their lives on him. Catalinotto — one of the speakers at a Feb. 10 rally where 5,000 union members marched for job protection — said that parents are calling for an independent investigation by Bushwick community members into what caused the accident.